The third-annual Oktoberfest was held at the St. Colman of Cloyne Parish on Saturday evening. Starting at 4 p.m., Chris Weiss performed live “authentic” German Oktoberfest music while the crowd enjoyed a variety of attractions and treats. https://www.recordherald.com/wp-content/uploads/sites/27/2018/10/web1_20181020_164533.jpgThe third-annual Oktoberfest was held at the St. Colman of Cloyne Parish on Saturday evening. 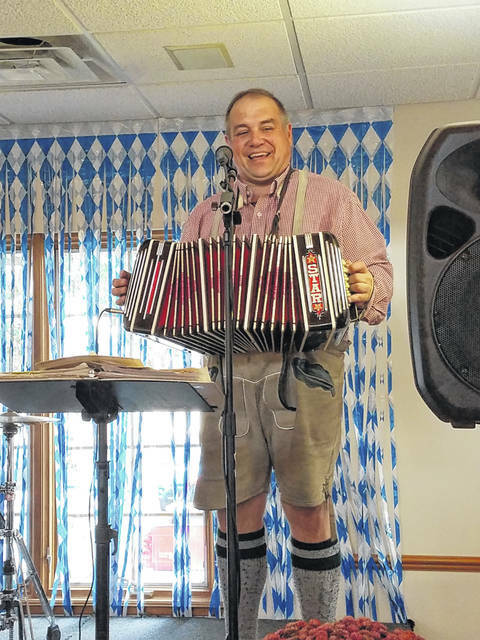 Starting at 4 p.m., Chris Weiss performed live “authentic” German Oktoberfest music while the crowd enjoyed a variety of attractions and treats.